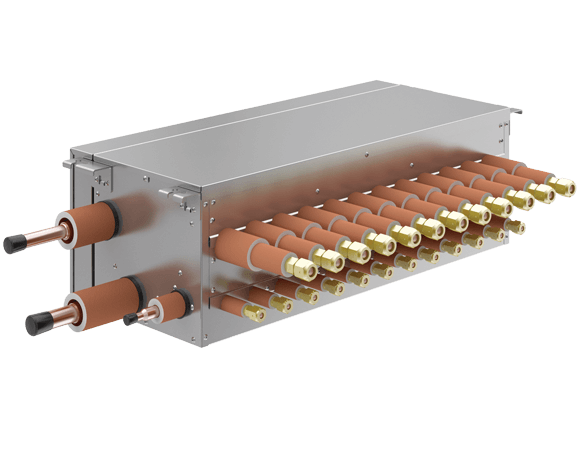 The Multi-Port Change-Over Box (COB) is engineered to be the workhorse in a heat recovery system as it redirects refrigerant vapor to the desired zone. Connects up to 6 branches and a total of up to 216 indoor units. Electronically controlled valves, and a fully insulated valve housing minimizes noise. Reliable performance as valves work according to the demand of each zone.